I go for a walk with my dog. I go for a cycle ride. I take a camera sometimes. I have no predilection for being the kind of photographer who obsesses over gear or gadgets. Been there, done that. I am not ‘passionate’ about it to the point that photography is my life. I will not be found standing behind a tripod mounted camera at dawn on a freezing cold morning waiting for just the right light. Much too lazy for that. My shots are what I decided to take on the day and time I was there and perhaps what I saw in the image when I processed it. Which was, more often than not, slightly different to what I thought I saw when I took it. I try not to go overboard with processing, I don’t add stuff that wasn’t there and stick to cropping, exposure and contrast adjustments mainly. I don’t go in for multiple images combined, focus stacking or high dynamic range and all that clever technical stuff. I have Relapsing Remitting Multiple Sclerosis so I spend the time when the disease clobbers me for walking by sitting and perhaps doing a bit of image editing instead. I like little abstracts, frames of texture contrasts, shapes, lines and light. I like the landscapes of the area I live in; I am out in it a lot, so I take pictures of it while I am in it. I like using Black and White a lot and I have been exploring abstracts using a deliberate camera moving technique recently as well. So I’ve put some end results up on this blog, just so if anyone ever asks “Do you display your photos anywhere Bear?” I can direct them here. I upgraded my account from using a basic WordPress address to my current cornishbearsphotos.com. Hopefully, as I have to pay for it, encouraging me to be a little bit more professional about it all. Wouldn’t hold your breath though. If you happen to like my pictures too, that’s great, I’m glad you enjoy them and do pop in to have a look another time. If you really like some images there’s now a Redbubble shop, so you could purchase one and still be looking at it on your wall even when there’s a power cut. 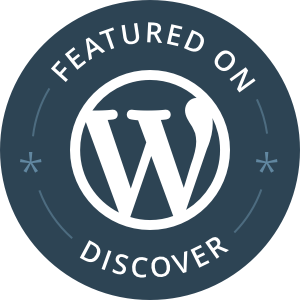 PS: My site was featured on WordPress Discover in March 2018 as an Editors’ Pick. Click on the image to go to the post I wrote when I found out.